For centuries, chanting has been a daily practice of many yogis, spiritualists and individuals engrossed in religious activities. The combination of sound, breath, and rhythm in chanting has been honored sacred across cultures because it leads to union with the cosmos and harmonizes the internal system, including the brain. Chanting of Aum is a common practice during meditation and yoga. ‘AUM’ is a word, sound, or vibration considered holy in Vedic traditions. It’s both a sound and a symbol having spiritual connotations. In Hindu mythology AUM is regarded as the sound of the universe, everything sprang from this vibration. Also, AUM is known as the sound of Pranava and vibration that represents four states of Supreme Being. When you chant AUM, the vibrations of the sound correlate with the sound of the universe and that is how it helps in union with the universe. On a mental level, repetition of Aum sound deeply affects the consciousness and fosters awareness. As you chant the AUM sound with breath, it purifies your body and the surrounding environment. As you try to maintain your focus on the breath and the sound of AUM, your concentration enhances. 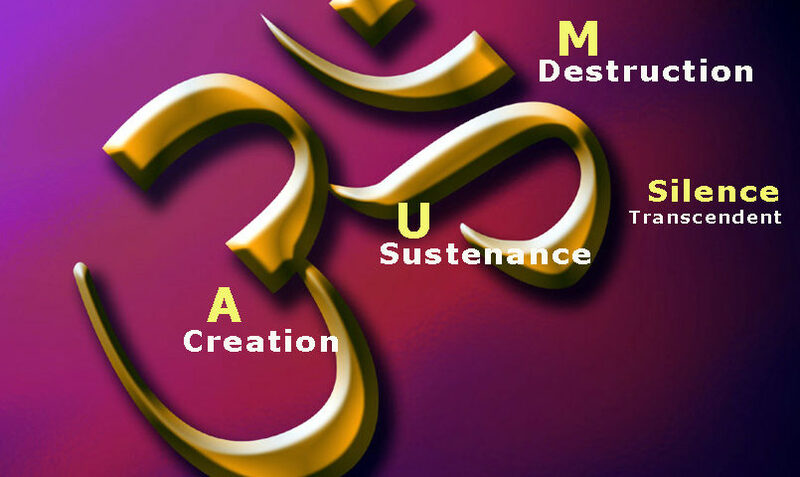 The Mantra AUM has healing powers that give a boost to the immunity. The chanting of AUM increases sattva in the body that helps keep it in a harmonious state. As you chant AUM low and rumbly from the stomach, the vibrations are felt through vocal cords and sinuses. Therefore, it clears the passages and opens sinuses. The AUM sound is chanted in the beginning and end of a yoga class because it deeply relaxes your body-mind. When body-mind is calm, yoga and meditation become easy to practice. The vibrations of the AUM mantra purifies the surrounding thus benefiting the people around. The AUM mantra offers cardiovascular benefits. By relaxing the mind, it reduces stress, which helps in keeping the blood pressure in check. When the blood pressure is regulated, the heart beats with a regular rhythm. The AUM chant improves the quality of voice by strengthening the muscles of the vocal cords. This benefit is useful for elderly people. While you sit for meditation, rub your hands along with the AUM chanting. Now place the charged hands-on diverse body parts, including eyes to heal and activate them. The heat produced assists in the healing process. Through chanting, you give rest to your brain and let go of the past experiences. This assists in the release of emotions and clutters that is harmful to the health. When the mind and soul are clear, you feel stability. When the AUM mantra is chanted in a group, the benefits are amplified. Immense positive vibrations are created in the atmosphere. As you mumble the sound of the universe, AUM, you bring yourself closer to the truth and the universe. Gradually, the repetition leads to self-awareness. People who regularly chant AUM have been blessed with radiant skin. The element of breathe deeply purifies the skin. Also, the positivity that this energy brings makes you healthy from inside which is reflected externally. The act of sitting straight during AUM mantra chanting and the generation of the sound from the abdomen strengthen the supporting muscles of the spinal cord. The ‘Uuu’ sound is created by the vocal cords thus rewarding the throat and the thyroid glands. The vibrations of the AUM bring peace and serenity to the practitioner. Scientifically, the AUM sound acts as a brain stabilizer. The chanting of the AUM transports us into the world of deep gratification. AUM awakens the dormant spirituality within an individual. Embrace positivity and internal healing with the divine AUM. To know more about AUM in further details, explore our Yoga Teacher Training In India.